I have had about all I can stand with the negative press related to Reverse Lending. The fact is we baby boomers are not only continuing to age but we’re living longer. The uncertainty of social security and the rising costs health care weigh heavily on our minds. For those of us with limited income, yet still independent and don’t want to ask our children for help, the reverse mortgage is a perfect solution. How are we expected to care for ourselves if the best invention for financial security is taken away? I have parents in their mid-eighties who, fortunately are in good health and very independent. But when they were facing escalating property taxes, repairs to their home, and annual increases to their supplemental health care coverage, I began to see a change in them that concerned me. Too proud to ask for help, I approached them with the thought of applying for a reverse mortgage. As one could expect it took some time to educate them but they forged ahead. Now, some six months after they closed they are so much more independent and free of the worries that were having a serious impact on their quality of life. I only mention this to get those of you who dismiss the reverse mortgage program as too risky for the FHA and taking advantage of the elderly, to get a grip and look at this wonderful program as a means to provide our growing population a better quality of life while maintaining our independence and self respect. Yes the FHA is going to encounter some risk, all programs do, but as house prices across America adjust as a result of the housing crisis a new basis for value will emerge and mitigate some of that risk. As for the unscrupulous acts of some reverse mortgage lenders, shame on them; however, let’s give the elderly a little more credit that we sometimes do. Speaking from my personal experience with my parents, I do believe that better counseling is needed; however, I have not known the FHA not to invest or require quality in their counseling programs. 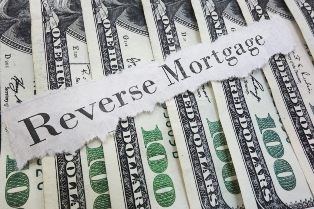 So yes, there are a few cons to the reverse mortgage but if one were to step back and really look at this program you’d see that the pros far outweigh the cons. As our medical system provides us with the opportunity for a longer life, let’s work diligently as a mortgage industry to create the very best reverse mortgage system that preserves the quality of life for our seniors while giving them the dignity that they deserve. Murin is a managing director of the Collingwood Group, a Washington-based advisory firm for the financial services industry. Murin is the former President of Ginnie Mae. Prior to that, he served as Chief Executive Officer of Lender Services Inc.